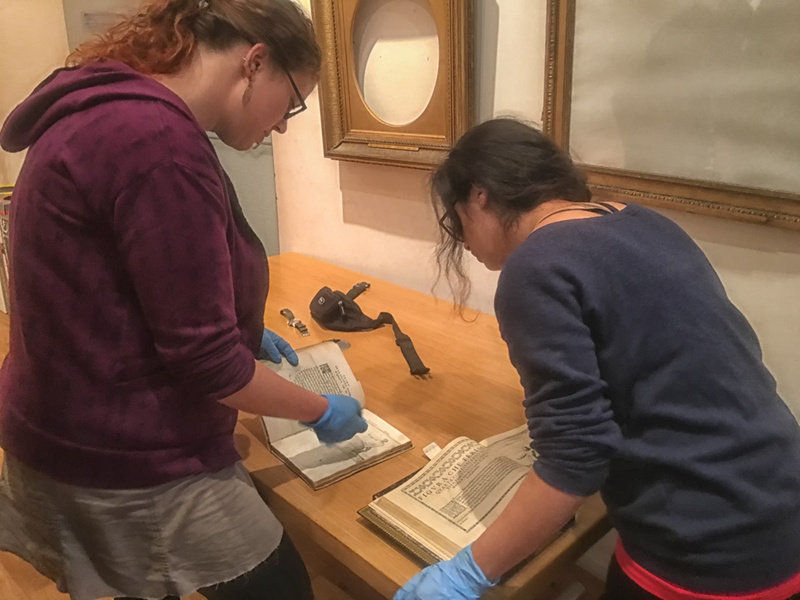 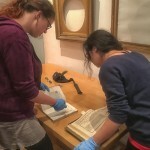 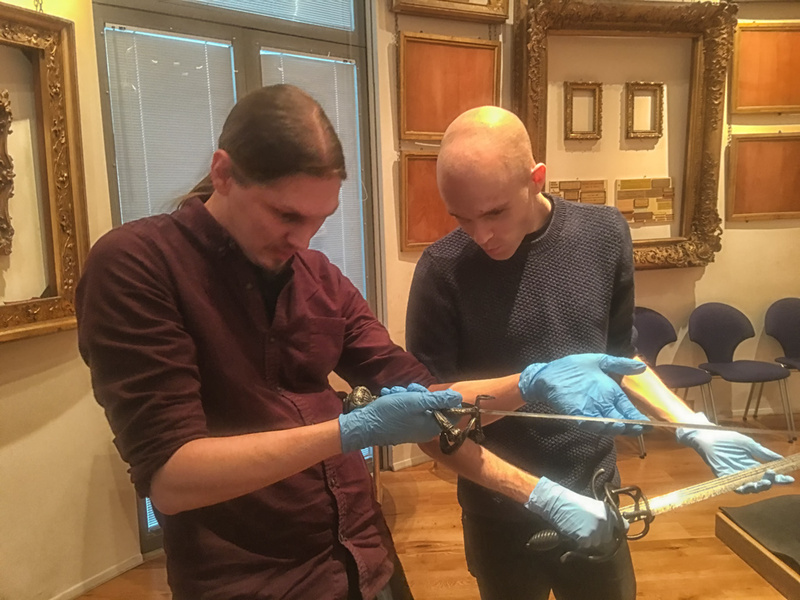 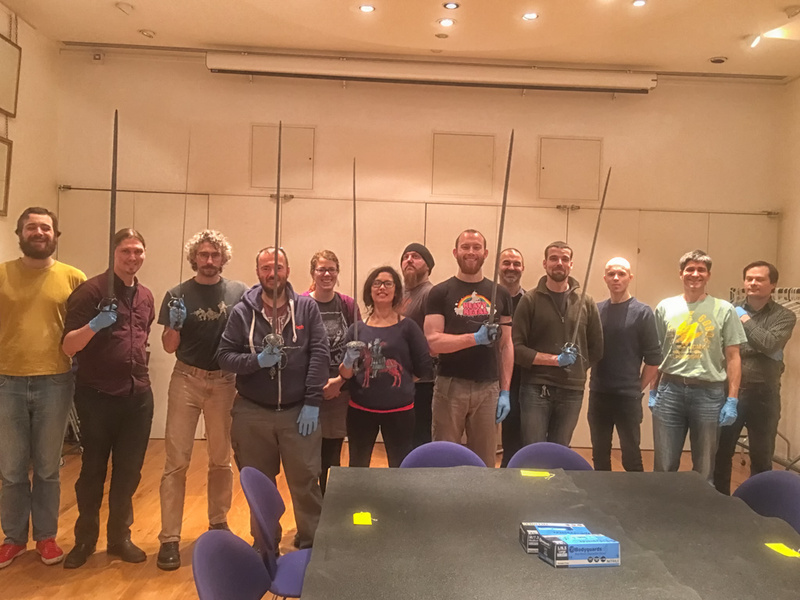 A number of students spent the day in London at the Wallace Collection yesterday, getting a special chance to handle some antique swords and feel how they compare to the ones we use for sparring and training. 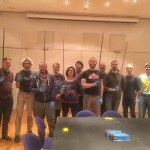 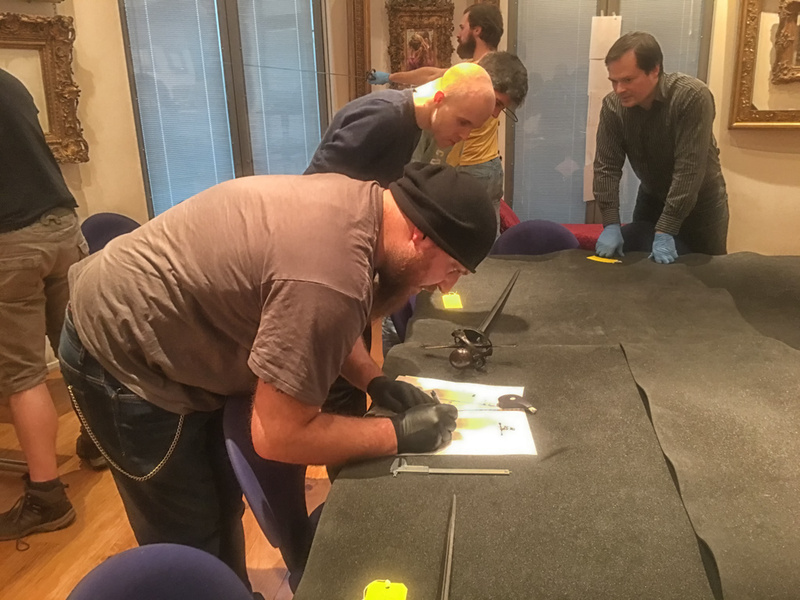 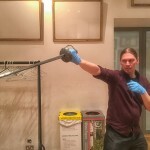 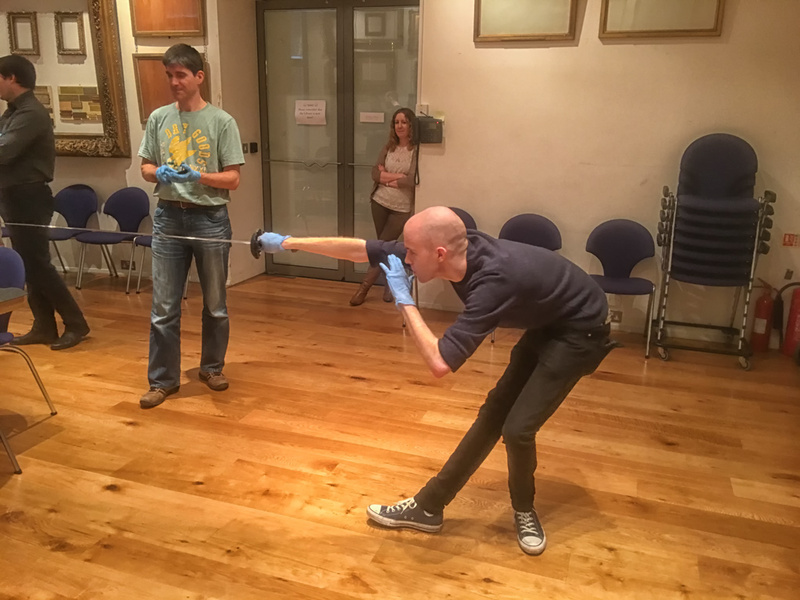 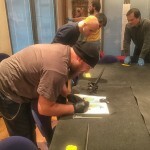 We were joined by a couple of guests: Peter Smallridge, instructor at KDF Tonbridge, and swordsmith Marco Danelli of Danelli Armouries for a handling session of several original swords from the collection, and two original prints of Capoferro and Agrippa. 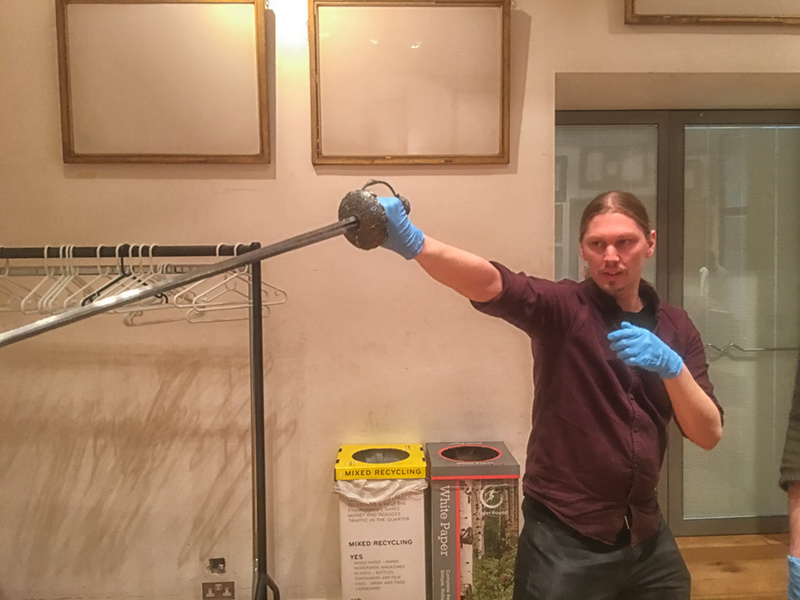 The session was introduced by head curator of Arms & Armour, Tobias Capwell, who also gave a brief tour of the weapons galleries. 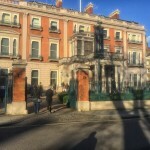 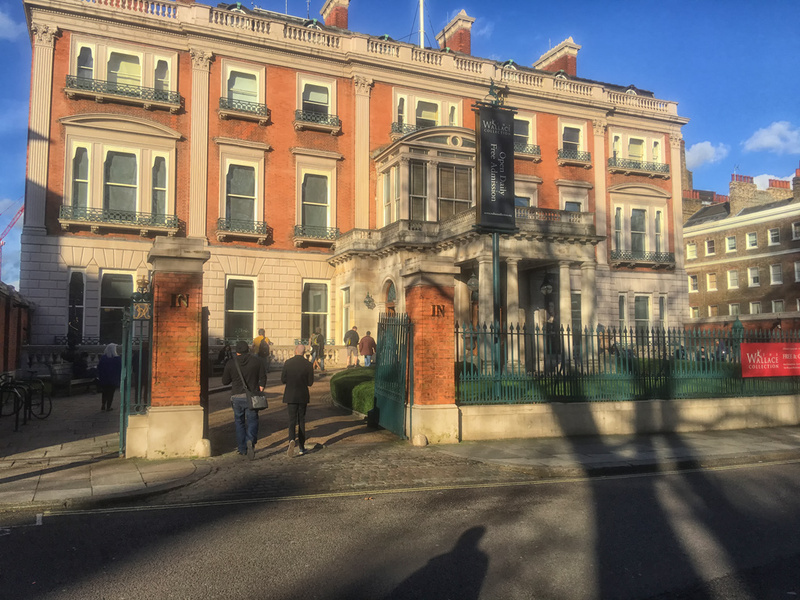 It was an amazing day and we are grateful to all at the Wallace Collection who took time out of their day to host us. 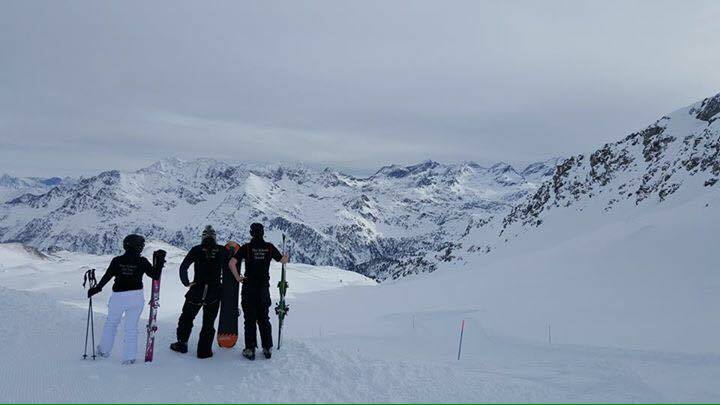 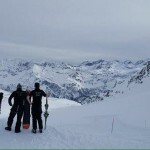 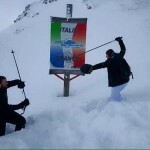 Just because you’re in the Alps skiing is no excuse to miss training. 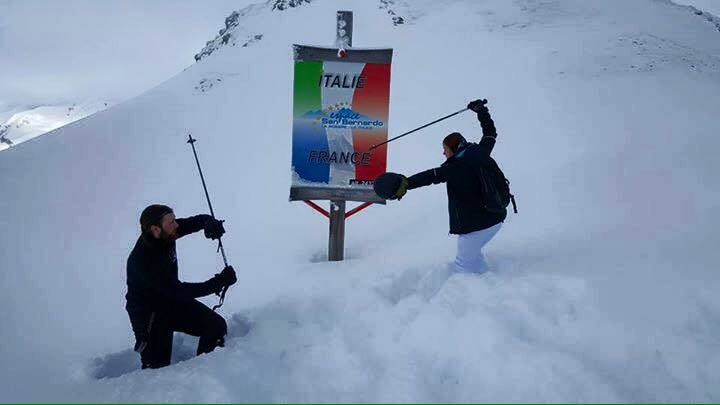 A number of our members decided to get some practise in on the French / Italian border. 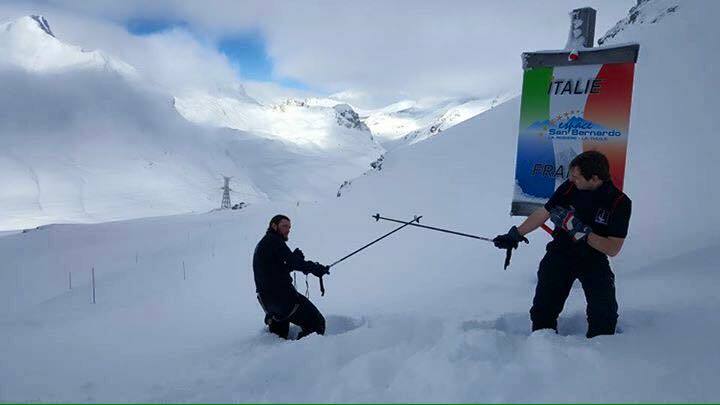 We like their dedication but suspect that snowboard and skipole will not catch on as companion weapons. 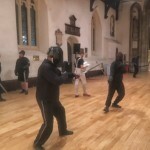 A busy night on Monday with the beginners group working toward their safety test with Stewart. 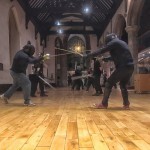 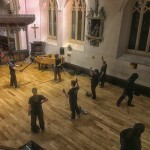 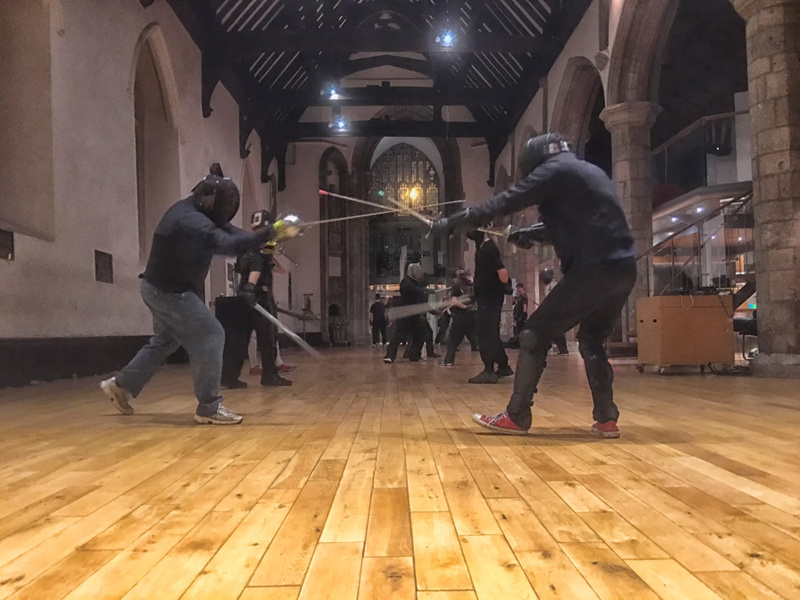 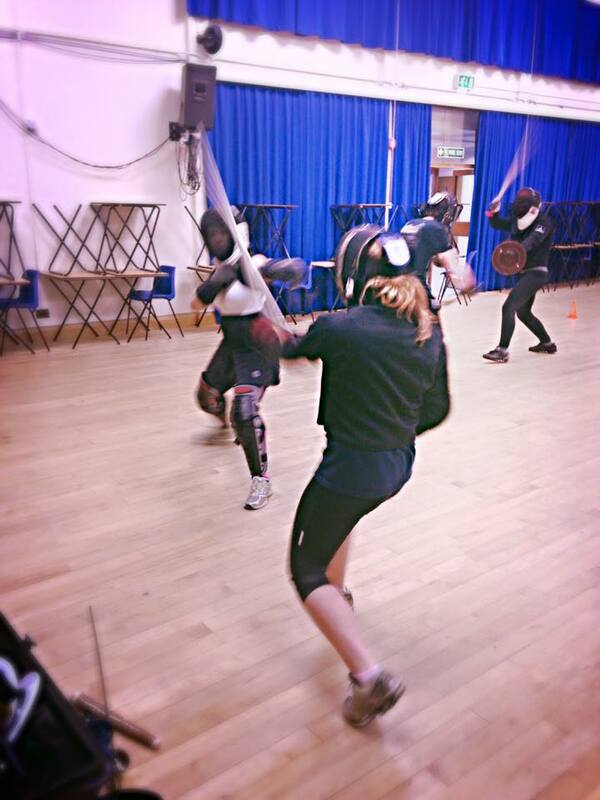 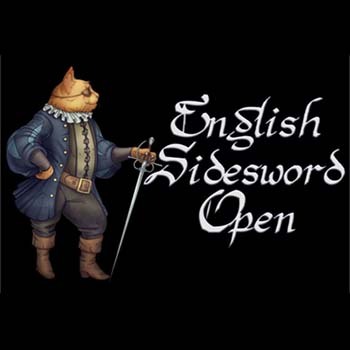 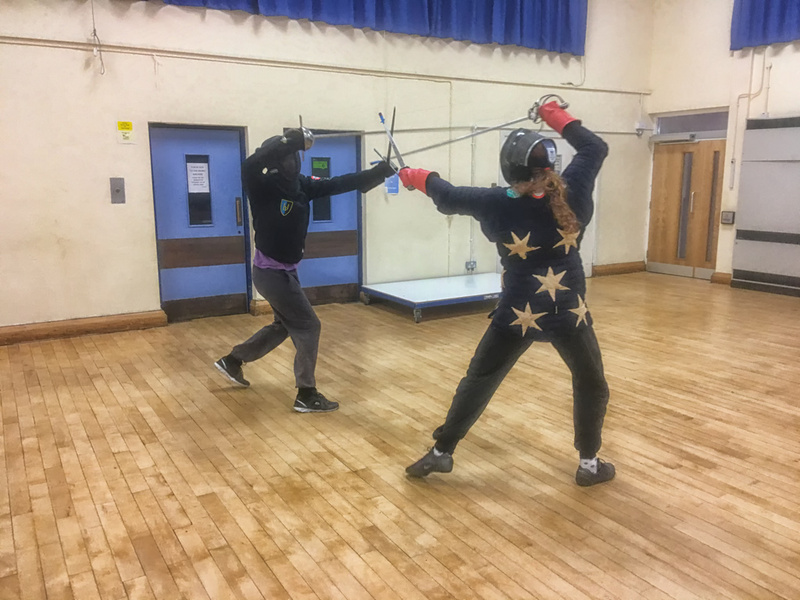 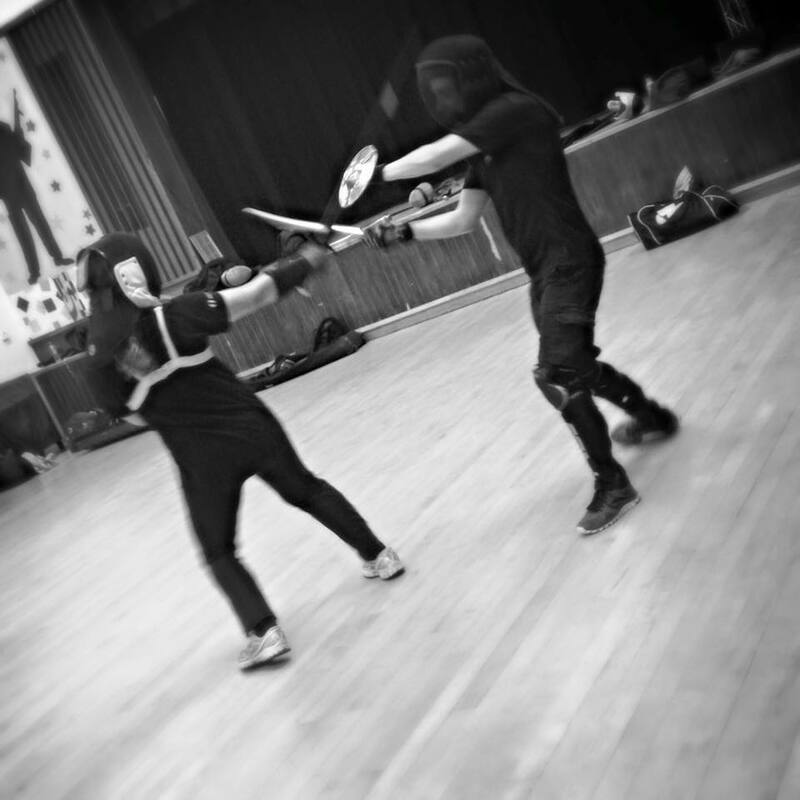 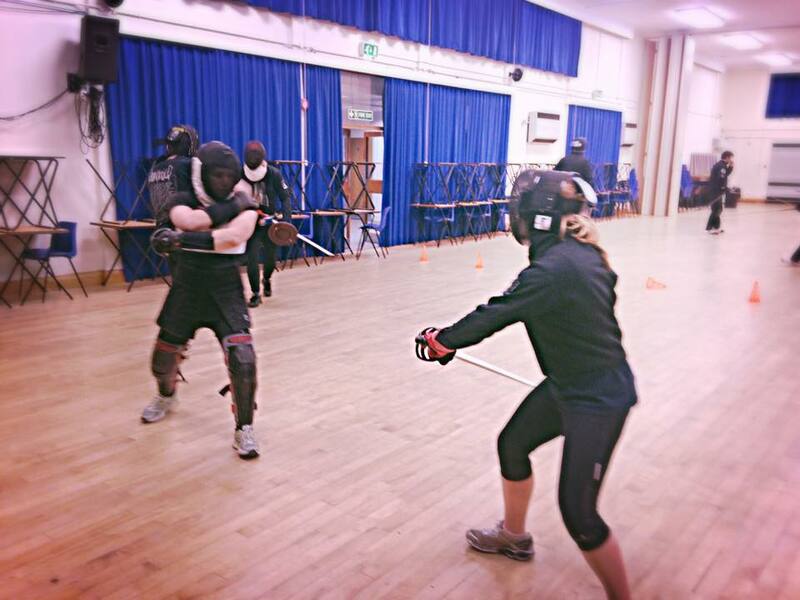 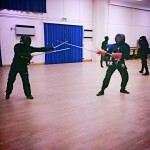 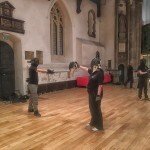 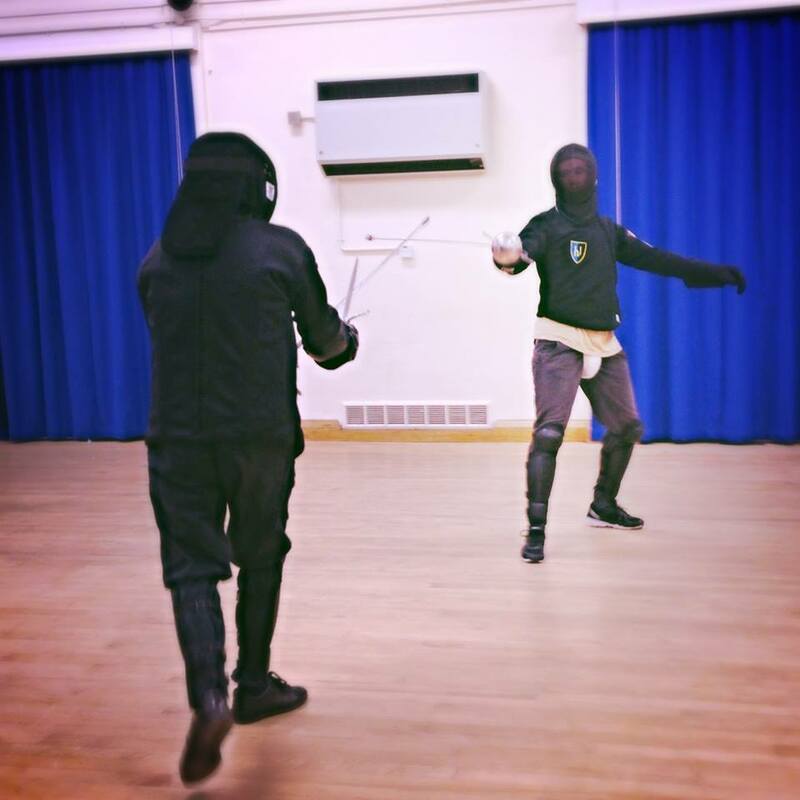 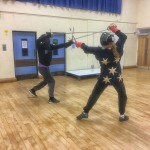 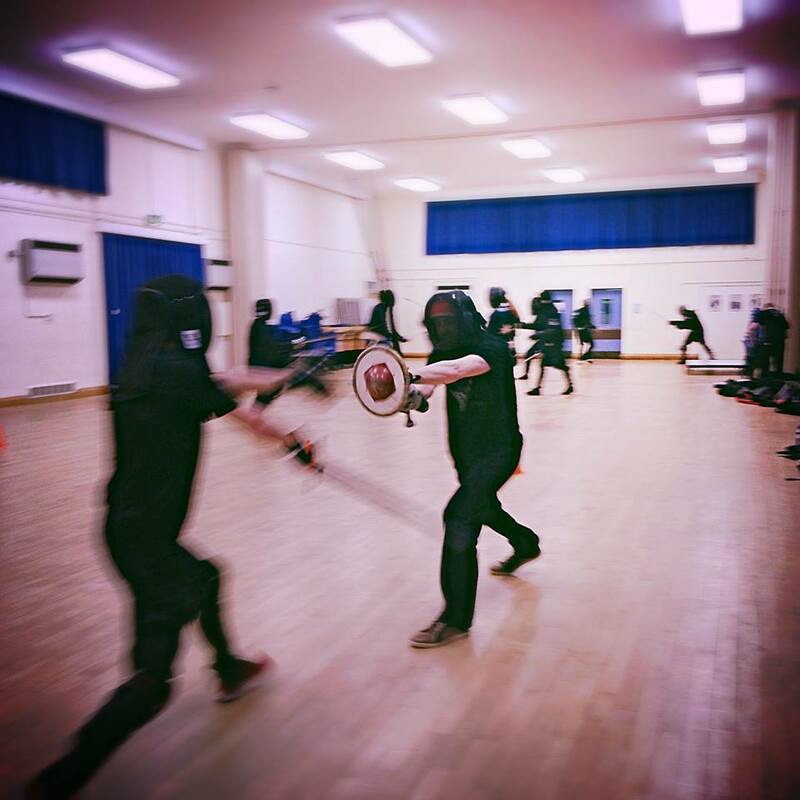 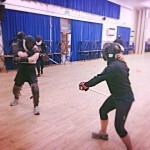 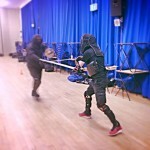 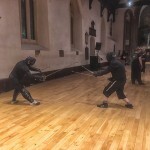 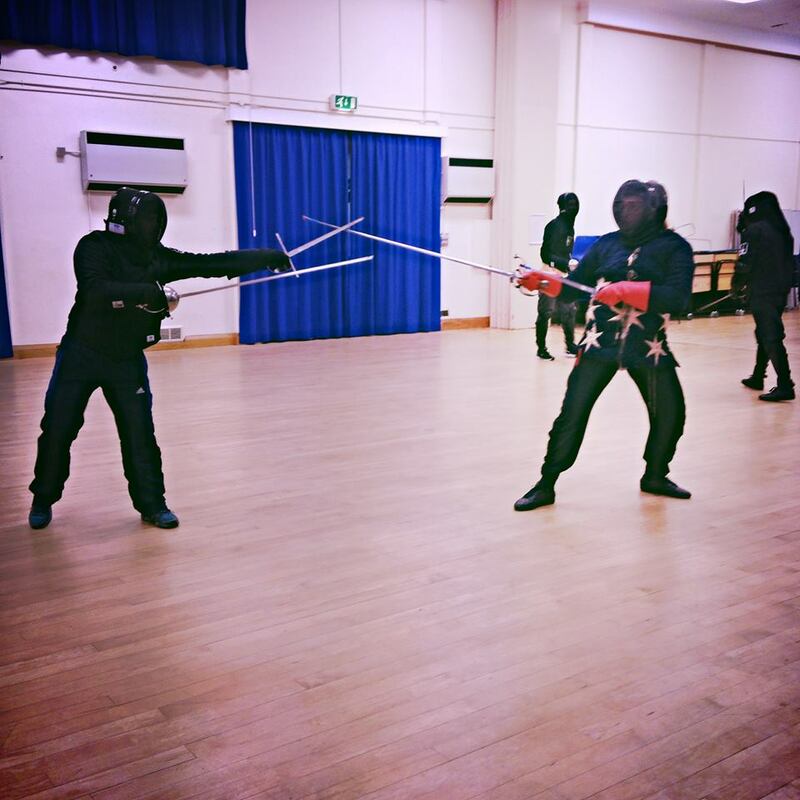 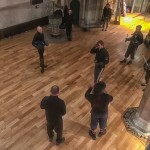 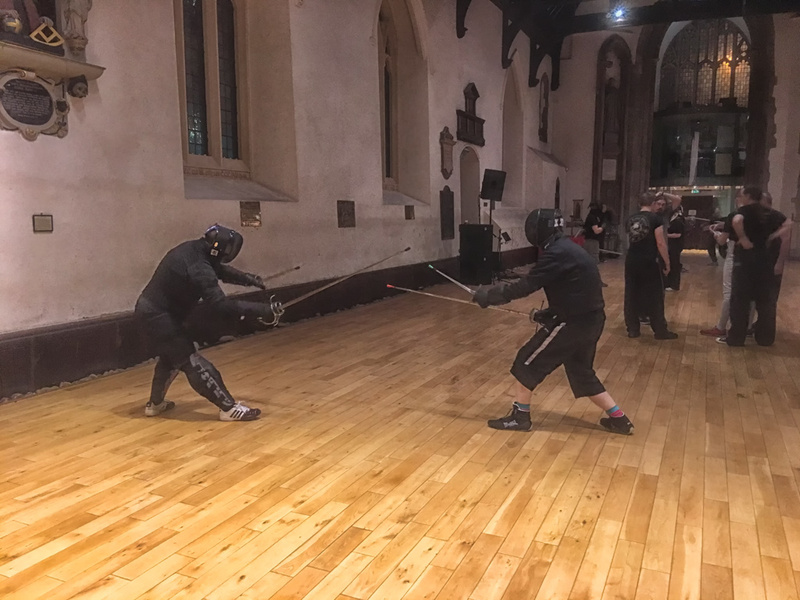 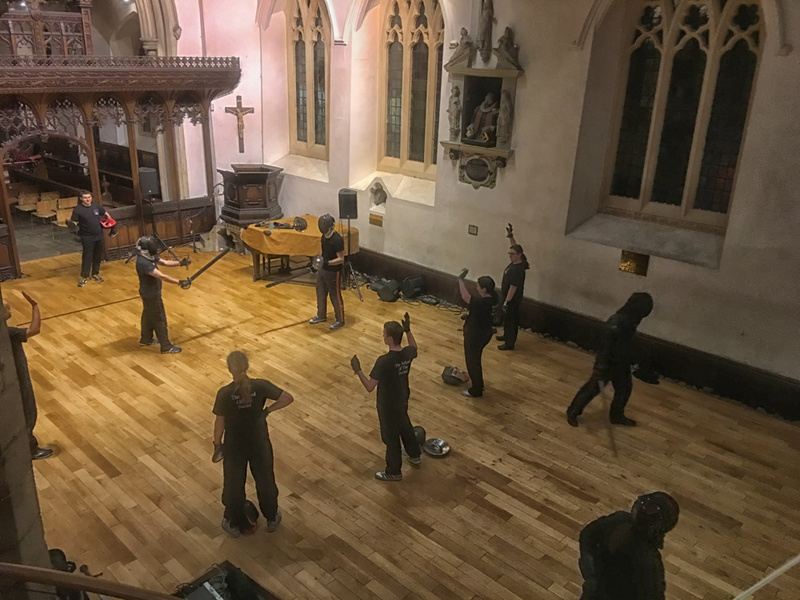 In the senior groups, the sidesword group worked on grapples whilst the rapier and dagger group worked on defense against cuts. 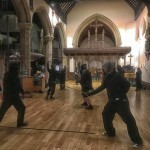 A lot of progress all round on another busy night. 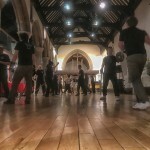 Another night of lots and lots of fighting in Godalming this evening. 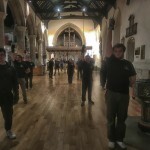 Energy levels excellent throughout. 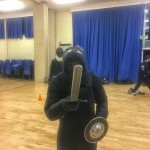 Some brilliant analysis and progress as well. 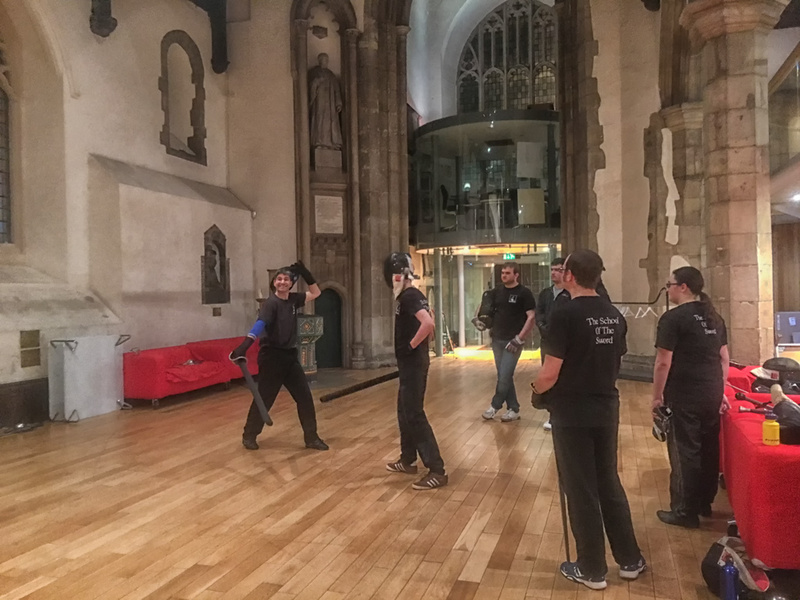 Another busy night at our new venue with multiple streams of learning. 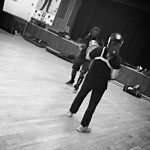 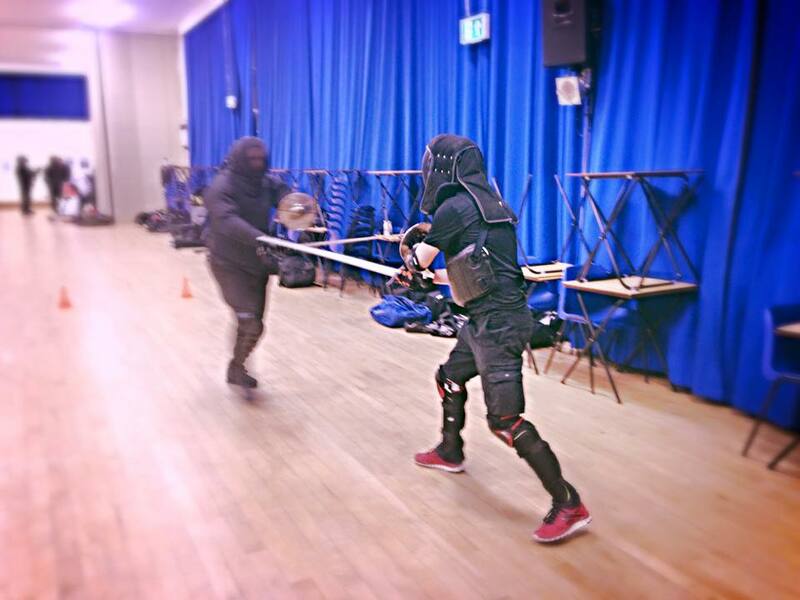 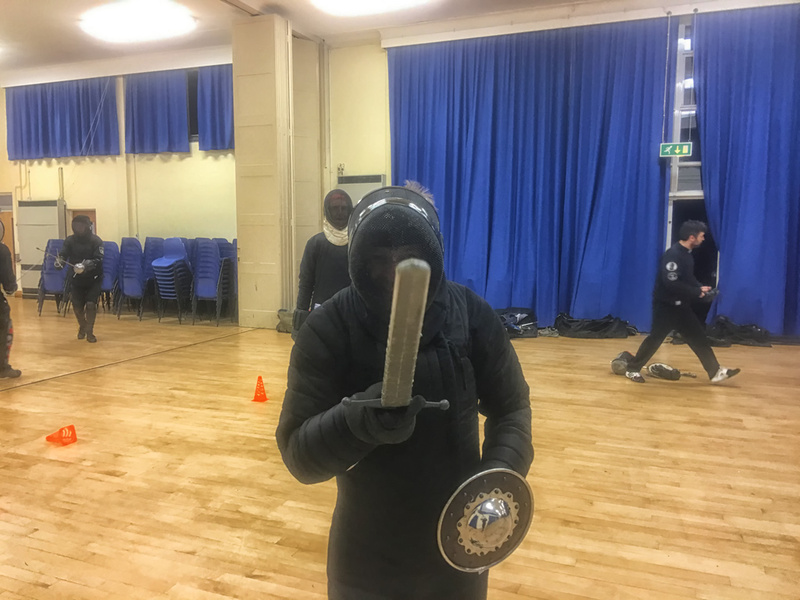 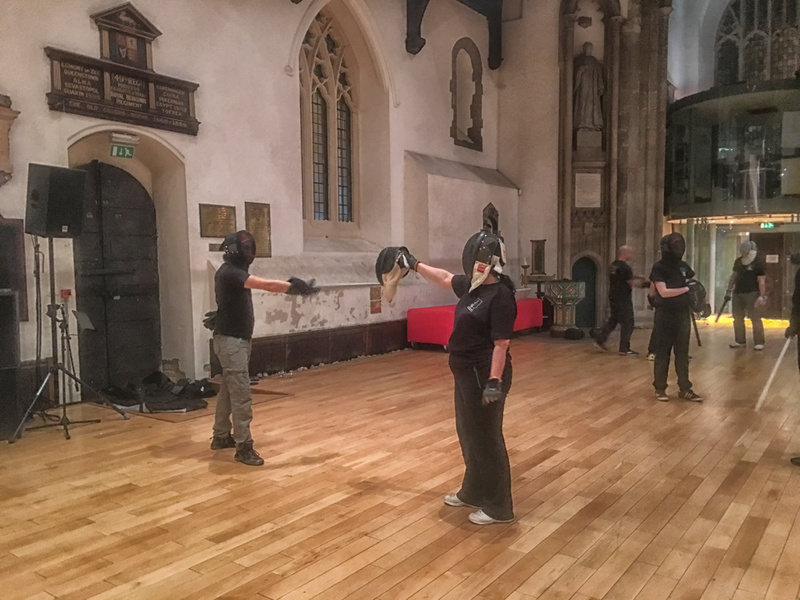 The rapier and dagger group looked at defence against cuts, the sidesword group looked at grapples and the candidati group continued their work on the form. 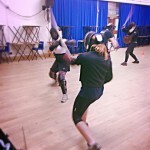 Lots of hard work and enthusiasm from everyone! 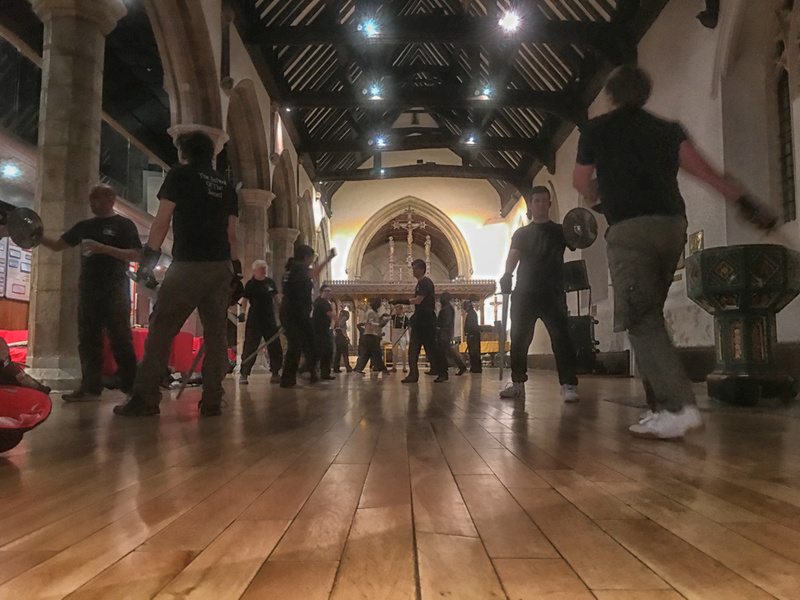 A fantastic fun and energetic start to the year in Godalming tonight. 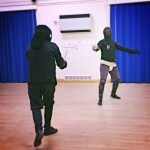 Momentum was maintained throughout the evening in both rapier & dagger and the Bolognese group. 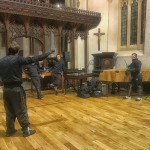 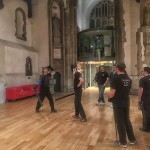 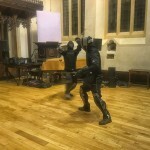 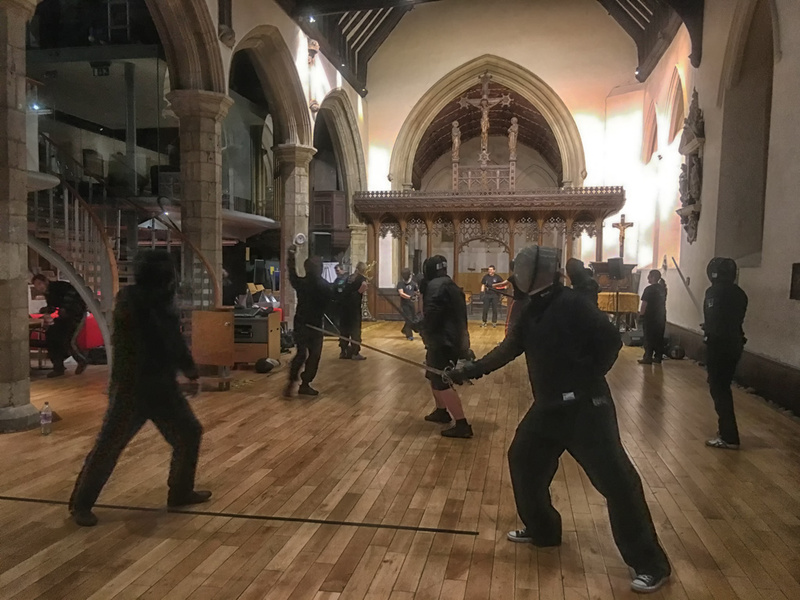 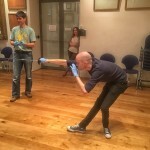 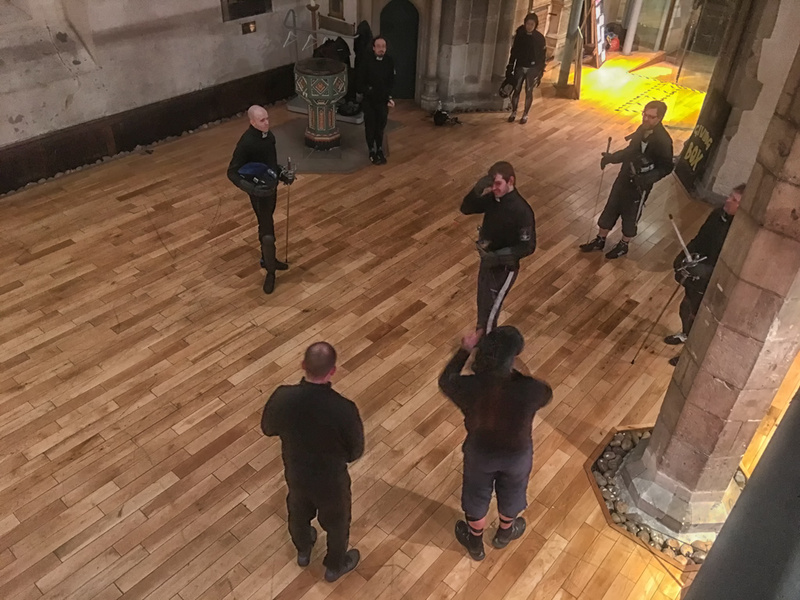 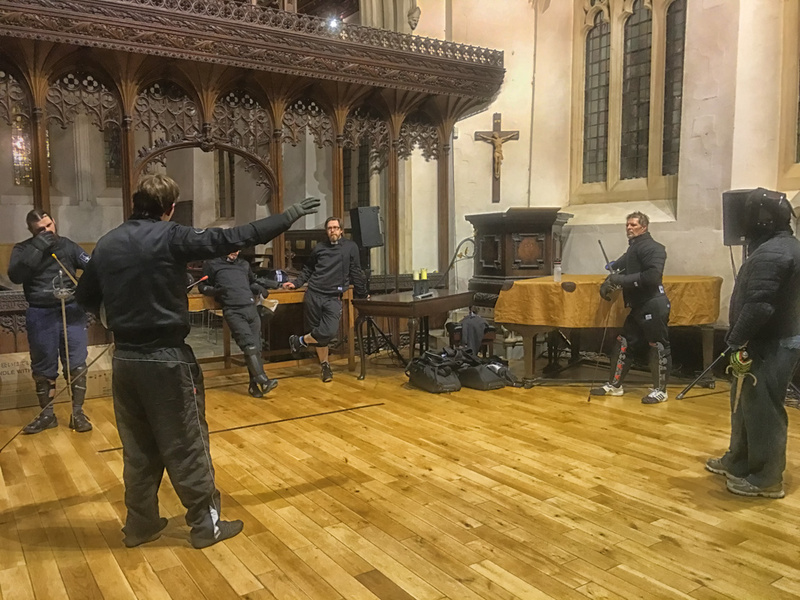 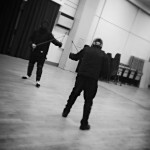 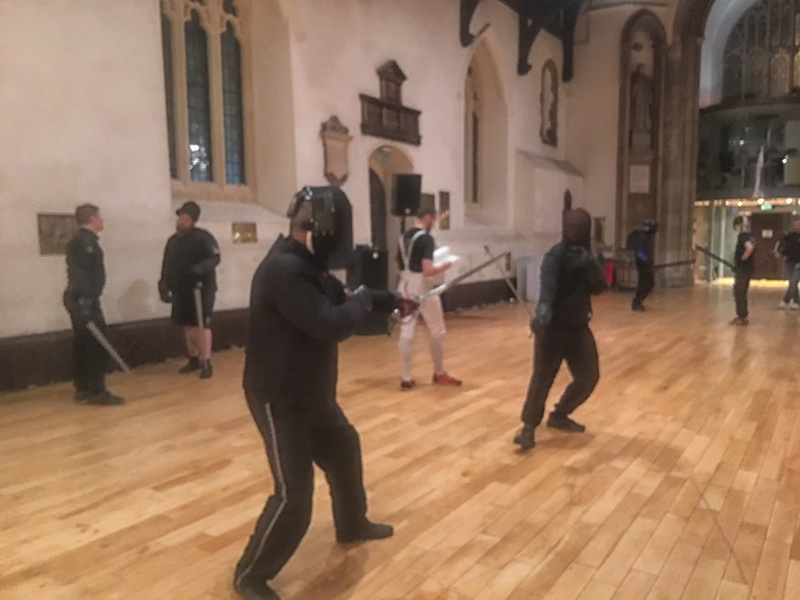 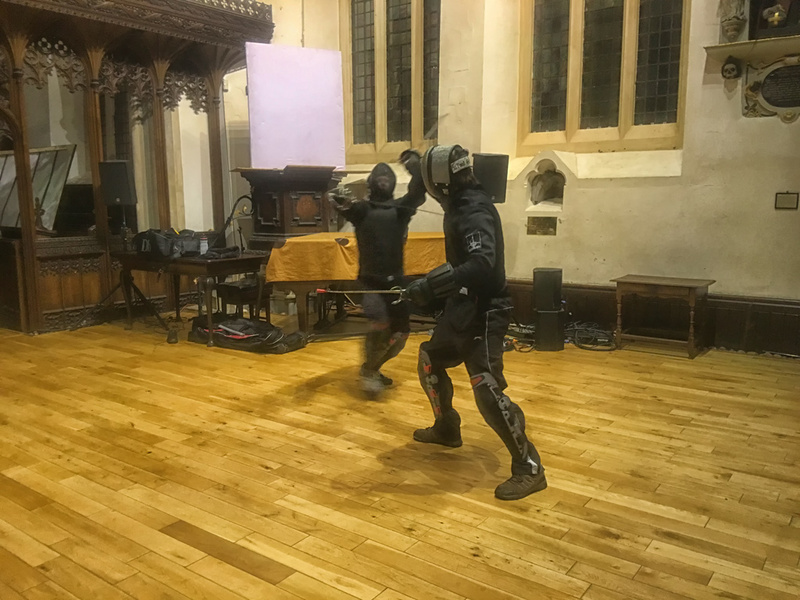 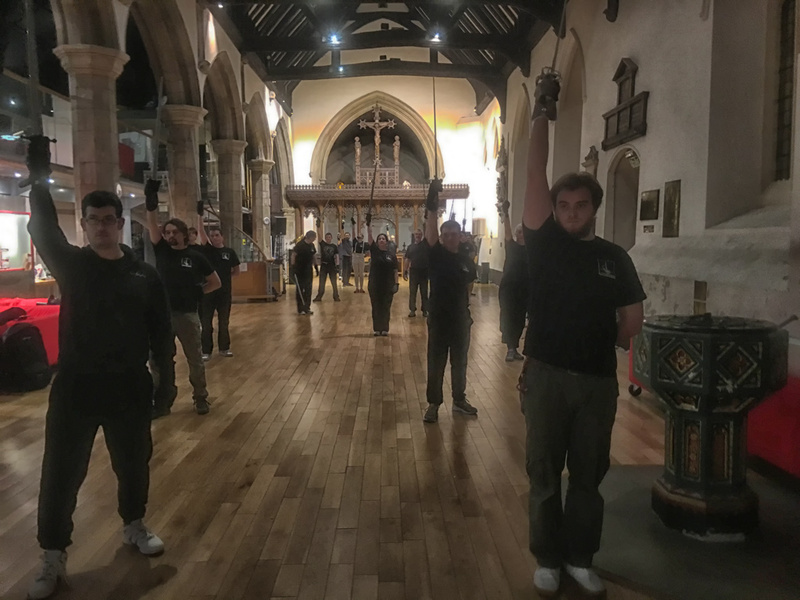 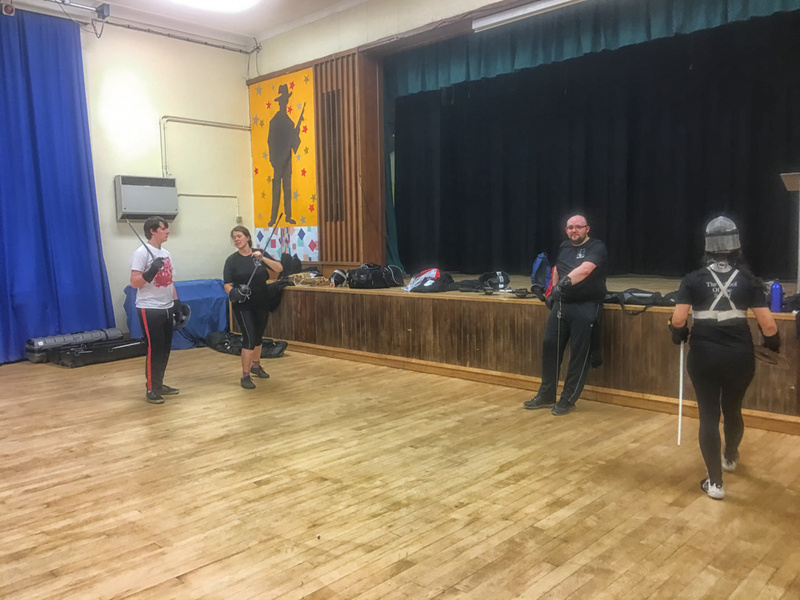 Candidati continued to work with Stewart on preparing for their safety test whilst Studenti split into two groups, one working on sidesword with Jay, and the other doing Rapier & Dagger with Matt. 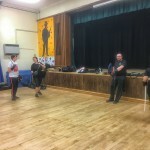 Despite the Xmas break everyone soon got back in the swing of things with lots of hard work from everyone.